In wintry weather there are few better ways to warm up than with a glass or two of award-winning local wine. 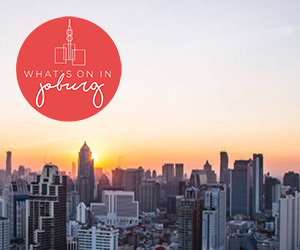 For those of us who are just too city-loving to venture into the countryside, Benn van der Westhuizen has kindly put together a list of urban wine-tasting sessions, cuisine pairings and curated festivals that offer the option to compare and contrast wines from different makers. From niche boutique spots to gourmet eateries to uniquely tailored festivals, get your wine-fix in this winter without venturing into the vineyards. Experience a wide spectrum of South African wines at the second annual Taste of Tyger Valley wine festival. Wineries are offering wares ranging from pot-stilled brandy, fortifieds (like Jerepigo, Port and Muscadel), right through to some serious Reds and full-bodied Whites. The ever popular pairing counter returns, matching a variety of wines with Lindt chocolates, and anyone needing a short break from the wine will enjoy perusing the Le Creuset stand, or stopping at the Montagu Dried Fruit and Nuts, or the Morgenster Wine & Olive Estate stand. Festival visitors also receive a booklet of coupons for some of the eateries in the Centre and are welcome to have a bite to eat and return to the event afterwards. Local wineries exhibiting include Benguela Cove, Bellpost Wines, Bayede Royal Wines of Distinction, Devonvale Golf and Wine Estate, Du Toitskloof Wines, Franschhoek Cellar, Glenwood, Hill & Dale, Imbuku wines, Kunjani Wines, Le Pommier Wine Estate, Montpellier de Tulbagh, Montagu Wine and Spirits, Orange River Cellar, Perdeberg Cellar, Peter Bayley Wines, Spookfontein and Triple Three Estate Distillery. True to bistro style, the charm of La Boheme lies in its familiar, neighbourhood feel, in which hearty gourmet meals are served in a cosy, welcoming environment. Here they’re all about slowing things down and savouring the moment – best done over a bottle from their impressive wine selection, of which over 60 are available by the glass. A stone’s throw from the Atlantic Ocean and the much-loved Sea Point Promenade, the restaurant is under the eye of experienced chefs who take pride in serving delicious and perfectly-plated dishes using only the freshest ingredients available. Since the menu is based on a fresh food concept, it changes on a weekly basis – making every visit to La Boheme a unique one. Besides the amazing dishes on offer, La Boheme keeps a steady eye on the wine industry to ensure it offers its patrons a wide variety of offerings from the various wine regions in South Africa. Whether it’s a cool-climate Sauv blanc from Elgin, a Pinot Noir from Hemel en Aarde or a Bordeaux blend from the ‘Bordeaux triangle’ in Stellenbosch. So head down to La Boheme this winter, order a handful of tapas and warm up with a glass of wine. We recommend their signature dish, the Beef Fillet with Mushroom Risotto and Mushroom sauce, paired with any of the Cab Sauvs on their winelist. Nom Nom Eateries & Wine Bar opened its doors in Somerset West this past January and quickly became a wine establishment for residents and visitors from neighbouring areas. Now, even urbanites are being drawn to this trendy eatery on a regular basis. Poised on a corner in the middle of town, the chic and quirky atmosphere inside comes coupled with a cosy fireplace and pastel decor hues. Culinary master Sebastian Smith concocted six different dining categories – Brunch, Nibbles, Breads, Light, Hungry and Sweet: a tailormade cuisine experience. And being a sister property of Benguela Cove Lagoon Wine Estate (just outside Hermanus), the foodie fare is often designed specifically to compliment the estate’s unique wine range, with each bottle carrying the elegant stamp of cool climate wines. This hotspot also comes with a variety of specials to keep you warm throughout winter. Brush up your selfie game with the Soup, Sip & Selfie promo running from Tuesday to Saturday. The chef team prepares a daily soup accentuated with the sommelier’s choice of wine for R75. Share your selfie with @NomNomEateries with the tags #soupsipselfie, #winterwarmers, and #BenguelaCove and stand the chance to win a case of wine every month. Alternatively, drop in on Wine Wednesdays, where guests can indulge in a cheese and charcuterie platter for two, including a bottle of Benguela Cove Pinot Noir 2015, for only R290. And for a weekend comfort food treat, Friday Pie Day sees the Pie of the Day paired with a glass of the in-house expert’s wine recommendation (R95). Launched in 2005, Dorrance Wines is a boutique urban winery in Cape Town that is currently exporting its six varietals all over the world. With a natural approach and a deep respect for mother nature, owner and French expat Christophe Durand produces elegant wines from carefully selected grapes in the Swartland, Franschhoek and Elgin regions. The top three wines in their range – the Chardonnay, the Syrah and the Chenin – are much sought-after, but Dorrance Rosé is the surprise underdog, receiving much acclaim across Europe. No doubt due to the burgeoning renaissance this varietal currently enjoy in the culinary circles. Guests can stop by for arranged wine tasting sessions, or alternatively pop in at Bouchon Bistro, housed within the heritage-rich quarters of the winery. Bouchon Bistro offers the entire Dorrance range, as well as a well-curated collection of South African wines (most available by the glass). The Wild Mushroom Gnocchi or the Pea & Artichoke Risotto are firm favourites. But a standout experience at this gourmet eatery is the ‘Travel through your Glass’ selection in which a few foreign wines are highlighted, transporting guests around the world – from Greece to Chile, running across France and Spain. This is a top-notch Bistro: a place to settle down and indulge in a unique, yet memorable cuisine experience.